The competition regulator has cleared the way for merchant bank Goldman Sachs to buy Arklow’s Bridgewater shopping centre and a nearby office block for €33.25m. 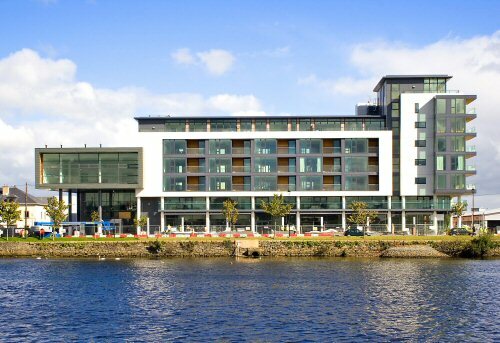 Goldman subsidiary ELQ Investors II agreed to buy the centre and Brunel House last month from North Quay Developments, whose backers include Killultagh Estates and Allen & Smyth Properties. The deal’s size meant it required the approval of the State’s mergers regulator, the Competition and Consumer Protection Commission’s (CCPC), before it could go ahead. The commission said yesterday that it had cleared the sale on the grounds that it would not lessen competition in any market for goods and services in the State. New York-based Goldman is one of a number of investors which have been buying properties in the Republic since its economy began recovering over the last four years. Bridgewater’s tenants include Dunnes Stores, Argos and River Island. It has a rental income of €2.9m a year.